For whatever reason, Icelandair rarely seems to drop the prices of their non-stop flights from Vancouver to Iceland down to really low price levels like they do from the other Canadian cities that they fly from (Edmonton, Toronto, Halifax). But they are currently offering some cheap ones in October 2017, which is a month or so into Iceland's off-season (June to September being the warmest and most desirable months to visit). They've dropped the price of their October flights from Vancouver to Reykjavik, Iceland down to $547 CAD roundtrip including taxes. This is 40% below the typical best roundtrip prices from Vancouver. 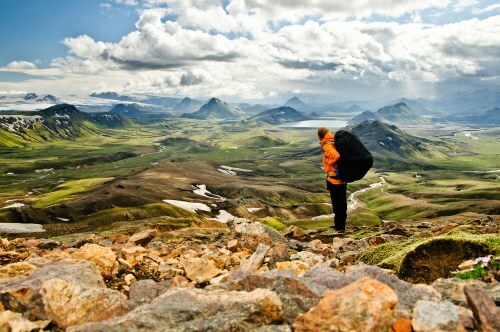 With Icelandair, 2 pieces of checked luggage are included for free. Dates over Canadian Thanksgiving are available. Note: On FlightHub, if you start typing Reykjavik, Iceland as your destination, it won't give you the correct airport. You want KEF airport (located in Reykjavik), but to get FlightHub to actually show KEF airport, you need to start typing Keflavik, Iceland (or just make things simple and type KEF). Don't worry, the flights are indeed to Reykjavik, Iceland (KEF), which is the only airport you can fly into with Icelandair. Sorry to anyone that was trying before with the previous instructions, and wasn't able to see these. Update 1/19 - One seat in October is available for $545 CAD roundtrip including taxes. Update 5/10 - Off-season flights in November and December 2017 from Vancouver to Reykjavik, Iceland have dropped to $594 CAD roundtrip including taxes (non-stop flights). vancouver, yvr, flight deals, europe, northern europe, icelandair, nordic countries, reykjavík, iceland, kef and reykjavik. 6 Responses to "Vancouver to Reykjavik, Iceland - $547 CAD roundtrip including taxes"
Update @ 10:30 PM PST - Looks like the cheaper fares have sold out. Some date combinations are now $632 CAD roundtrip including taxes. Hey does anyone know how refunds work with this deal or are you locked in once you purchase? Thanks! If you are going to be renting a car check out SADCars. We used them last FEb/Mar and they offered by far the best deal going! We had an older RAV4 and it ran like a clock. Update @ 2:30pm PST - Just bought the last 2 tickets at $685 for Sep 15 to Oct 8, thanks for getting us on the web/phone today and plan our yearly vacation at a great price! By the way, the $700 price range extends to late September dates, not only October. Thanks for the update Kim! Have a great time in Iceland. I did a custom date combination when I bought my tickets on Jan. 15; the dates I chose were Oct. 11-22 at $545. I just ran the search (Jan. 19, 4:15pm) and there was still one seat left for that combination of dates and price!